"Allow Other" option in the Drop down field? Is there an "Allow Other" option for the Drop Down Field, similar to the one provided for Check Box Field? If not, is there a widget that allows this? I can think of two ways on how you can add an "other" option in your "Drop down" field. 1. 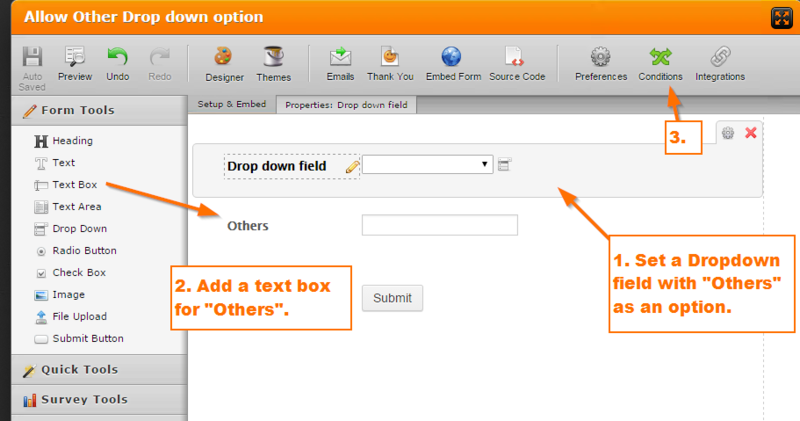 Add a text box where the user can input when the option selected in the "Drop down" is "Others". 2. We'll then use conditional logic to hide and show that field. 3. Here's the conditional logic that I set up. 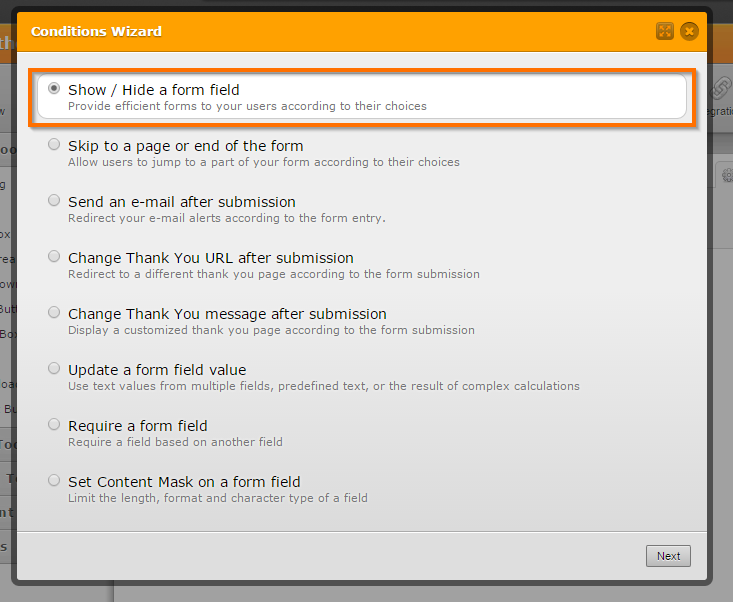 Here's a test form that you can check: http://form.jotformpro.com/form/51905717558969. Another one that you can use is the "User Contributed Dropdown" widget, user's can add an option that is not in the drop down list.